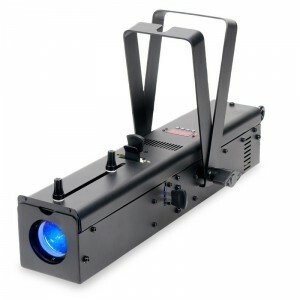 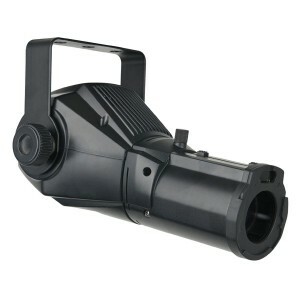 The Showtec Followspot LED 120W is a powerful lighting device, suitable for a variety of events and applications. 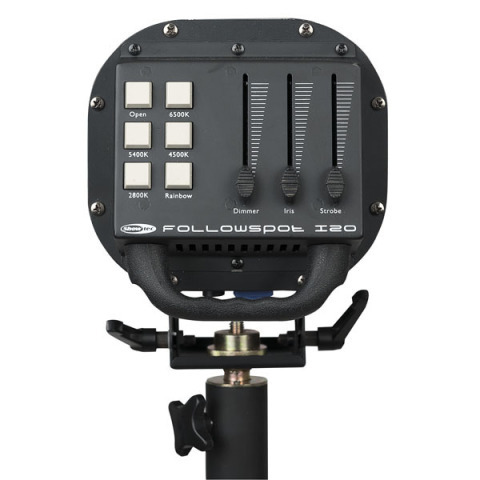 From live band to school play, this followspot will do the job and add the professional touch you are looking for. 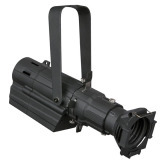 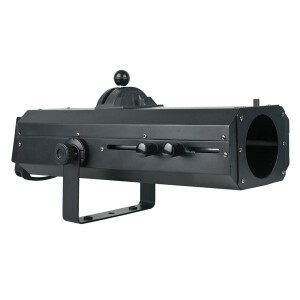 Although compact in size, this fixture is fully equiped with great features. 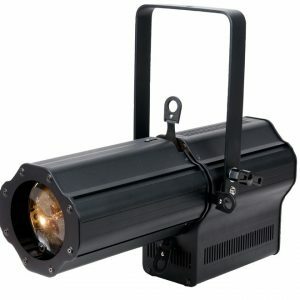 Dimmer, iris and shutter are controlled via 3 individual faders and different colors are selected via direct access buttons. 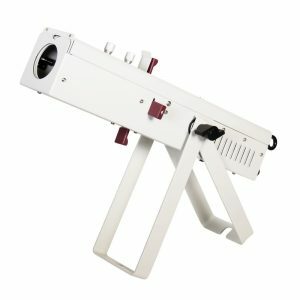 The built-in colorwheel offers CTC colors (2800K, 4500K, 5400K and 6500K) and the additional filterframe (included) allows you to put any desired color gel in front of the spot. 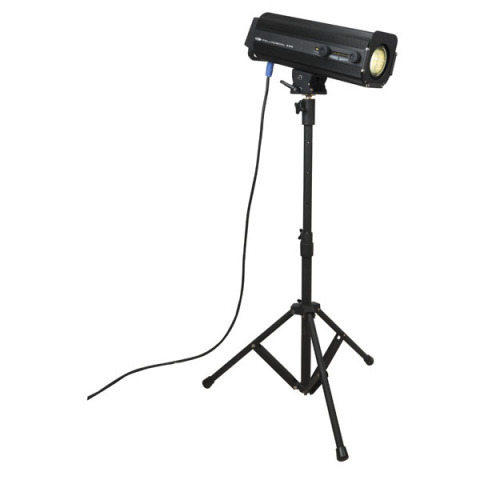 The Followspot LED 120W package comes with a solid tripod stand.